For diabetics, it's already a challenge to control blood sugar and stay aware of how the condition affects their health, but many diabetics may not know that their dental hygiene needs attention too. Dental hygiene is important for everyone but for diabetics, it means that they are more prone to issues with their teeth and gums. When problems do occur as well, they have a greater potential to be serious compared with a non-diabetic. If you're a diabetic reading this or know someone who is, there is no need to panic. All it means is that a bit more attention should be made to dental hygiene, both to ensure preventative care and to help tackle any problems right away should they occur. Gum disease is already common in the general population and it happens when bacteria in your mouth create a tacky plaque that clings to the surfaces of teeth. If this plaque isn't removed through good oral hygiene, your gums can become inflamed as time goes on. Inflammation of the gums occurs in a dental condition known as gingivitis. Gingivitis then leads to symptoms such as red, irritated and bleeding gums, particularly when you brush your teeth. If left untreated, gum disease occurs and tooth decay can become prevalent. The concern with a diabetic relates to control of the condition and high blood sugar. Diabetics – especially those with poorly controlled blood sugar – who suffer from an infection can find that the infections spreads more quickly and readily than it would in a healthy person. Ironically, as the body fights infection, blood sugar levels can increase even more. 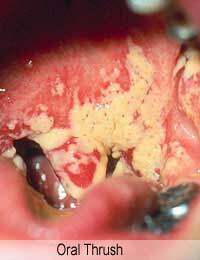 Thrush is a condition involving an overgrowth of fungus in the mouth. It tends to thrive in sugary environments, so the higher glucose saliva of a diabetic can be a very habitable environment for thrush. Again, poor glucose control will predispose a diabetic to thrush, which means that keeping levels stable not only helps general health but can also help keep thrush at bay. For diabetics, they are more prone to cholesterol problems. If gums become infected and aren't sufficiently and quickly treated, then the bacteria from gums can get into the bloodstream, thus putting the diabetic at a higher risk of damage from excess cholesterol. If blood sugar is too high, healing can also be impaired. This means that a slight cut or abrasion to the mouth can put you at a higher risk of infection. It also means that you may need special aftercare instructions following any dental surgery. If you have diabetes, it's more important than ever to be consistent in your professional cleanings and dental checkups. Make sure you don't miss appointments and that you get any x-rays as needed. If you smoke, you have more reasons to stop smoking cigarettes because they are more likely to affect your dental health. It's a good idea to use a very soft toothbrush and use fluoride toothpaste regularly. Also ensure you use a waxed floss each day as it will be less irritating to delicate gum tissue. A non-alcoholic mouthwash should round out your daily programme of oral hygiene. Above all, ensure you keep your blood sugar tightly controlled through a healthy diet, exercise, medications and regular monitoring. This is the single most important way to reduce your increased risks from your diabetes when it comes to dental care. If you have diabetes and continue a regular programme of good oral hygiene, you can keep your teeth, gums and mouth healthy for life.